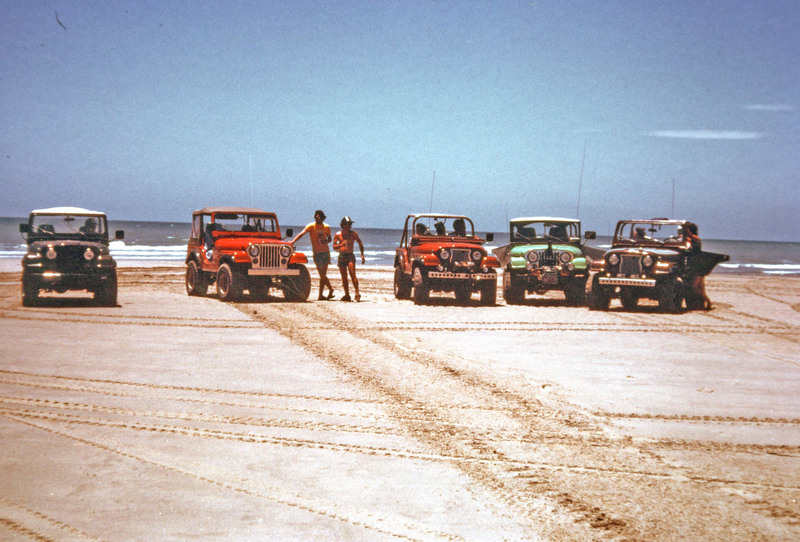 This post summarize two trips to El Golfo de Santa Clara, Mexico, for Easter vacations in 1984 and 1985. 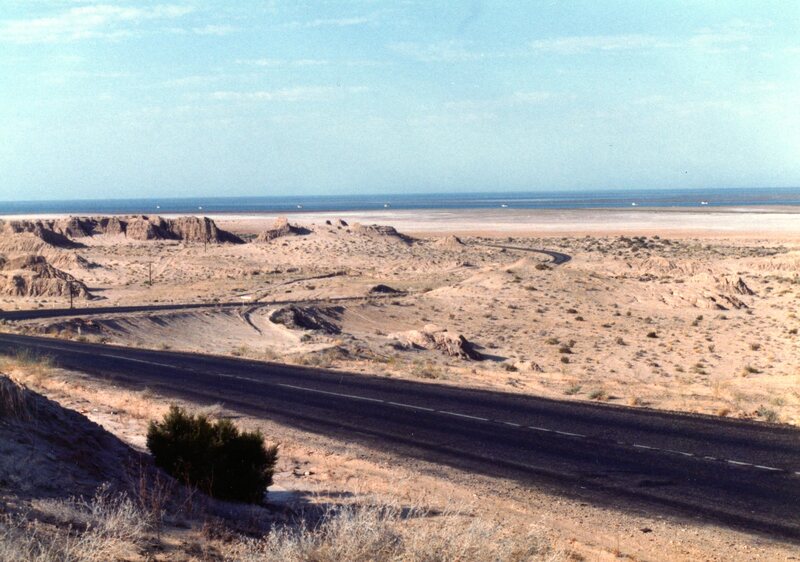 El Golfo (American name) was a small fishing village back then but today it is a resort town. 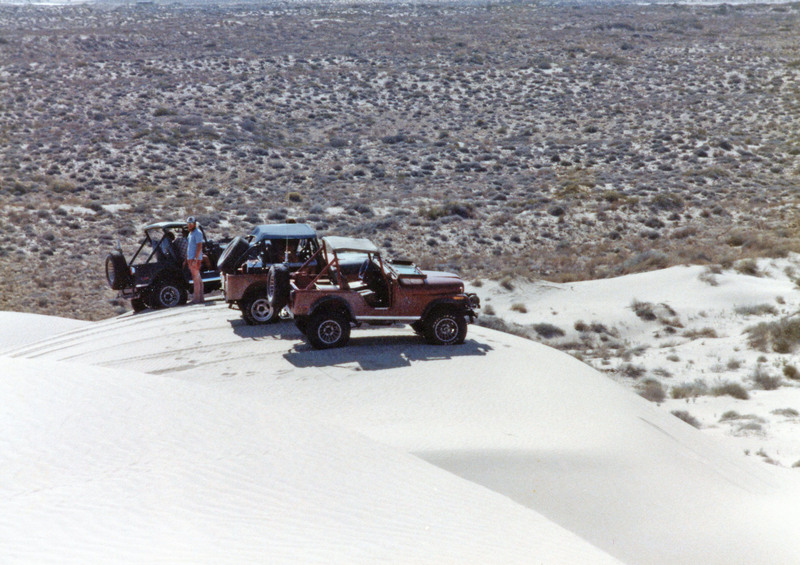 It is located at the mouth of the Colorado River, and the geology and offroad experience is different from that at Rocky Point. The CO River has deposited as much as 30000 feet of sediment into the northern Sea of Cortez and constructed a massive delta. Because of the large sediment load (fine sand, silt, and clay) over millions of years from the CO River, this area has a lot of mud (mixed clay and silt) as well as sand. The tidal range is large (~16 feet) and extensive tidal flats have been constructed; they are dark in the image below. The tides are mixed but dominantly twice a day, which leads to dramatic changes in the coastal geology at short time scales. This image also schematically shows some of the coastal geologic processes (in CAPS) inferred from the coastal geology. Geologists use the concept of uniformitarianism to infer how some of the rocks we have seen elsewhere were formed by analogy with these coastal and river processes. This post will follow the coastline to the SE from El Golfo and show the kind of offroad experiences arising from the changing geology. The delta is too muddy to drive on but on the east side of the delta where we camped, we see the impact of relative vertical movement of the younger rocks and the ocean as we approach El Golfo on Route 3. This photo shows ~20 feet of erosion of this alluviuum, which is probably < 1 MA old. 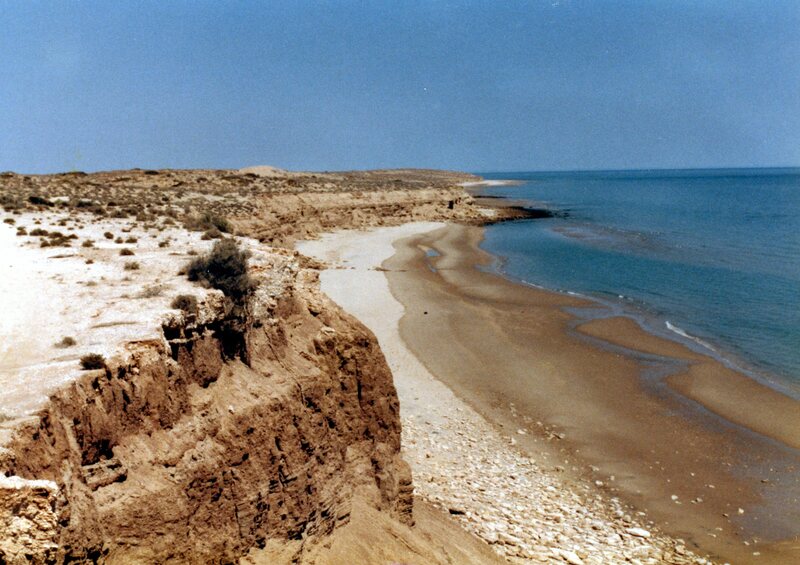 This cliff is irregular because of surface erosion and wind-blown sand covering it in places. 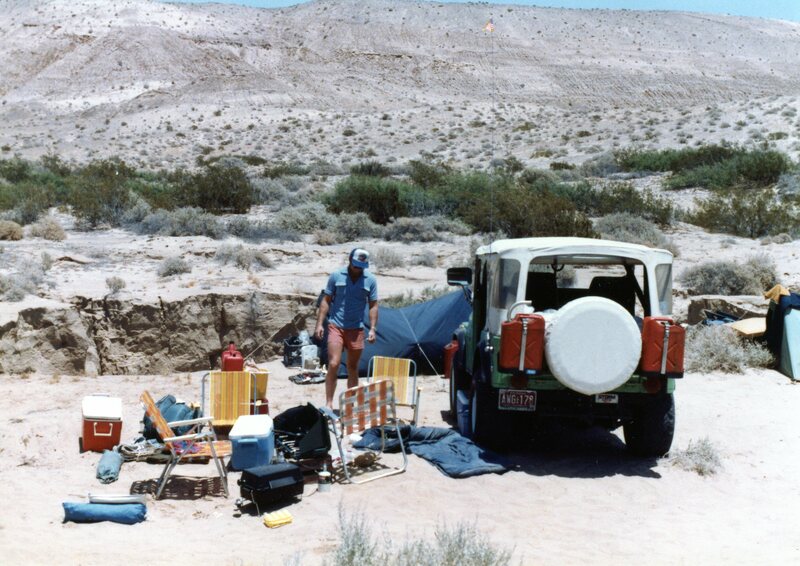 Younger alluvium hills are seen in the background of our 1984 camp on top of the scarp. The steepness of the gully is an indicator that this is actively eroding during infrequent rains. At places it was impossible to travel eastward during high tide and we had to wait for the ebb tide to continue along the beach as seen in this image looking to the SE. RIVER sediment interacts with TIDES to form complex tidal flats. 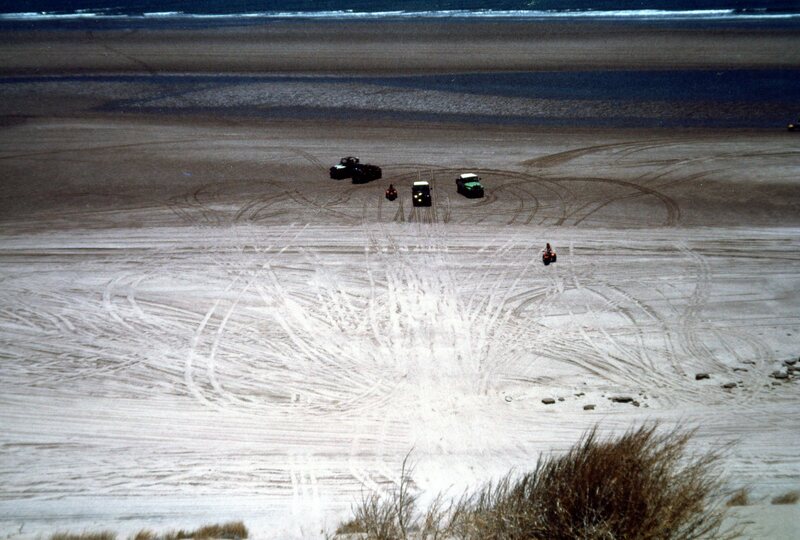 The presence of intertidal sand ridges, which are exposed at low tide can fool an offroader into thinking it is a sandy beach. We discovered this the HARD way, when a rambunctious friend charged out into the tidal flat during the rising tide (remember, 15 feet!). It took three vehicles, two winches, and 500 feet of heavy rope to finally extricate his Jeep as the rising tide was entering the cab…it doesn’t get any scarier than that! This image taken from the top of a sand dune shows the complex intertidal morphology and introduces the next geological process, the WIND. The darker areas are muddy and the lighter are sand. It is important to keep up the speed when crossing the muddy swales. 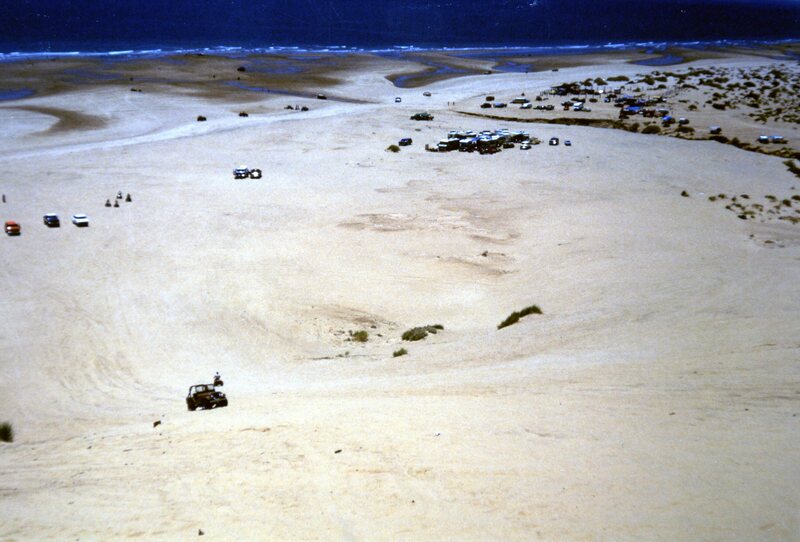 The result of the combination of dominant SW wind in summer and copious sand within the wide intertidal zone is a sand dune field constructed on the beach. 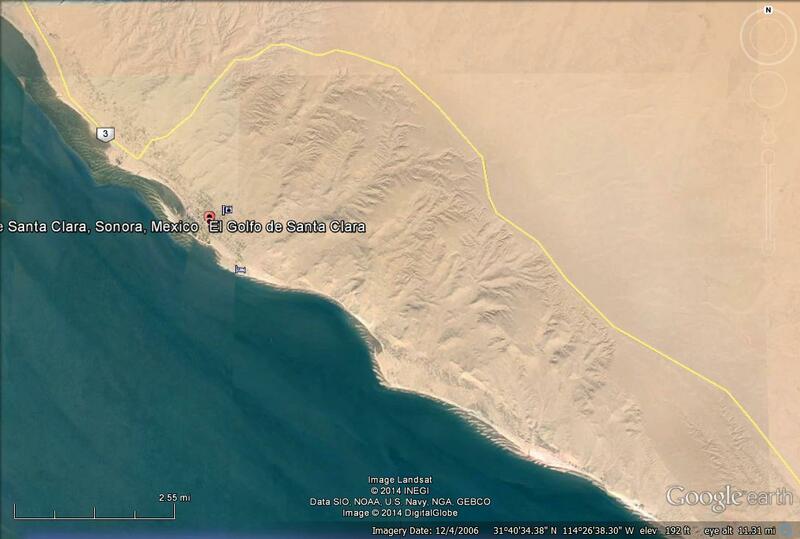 Further SE from El Golfo, a large sand dune field has developed that is moving landward over the desert. The entire field is seen as relief over most of this image. The dune field is outlined by Route 3, which must go around it. The active dunes are as high as 150 feet. They are moving to the north and have separated from the beach in some areas while remaining at the coast in others. This makes for great hill climbs and views! Further to the SE, the sand supply is lower as is the tidal range so not as much sand is available to construct dunes. 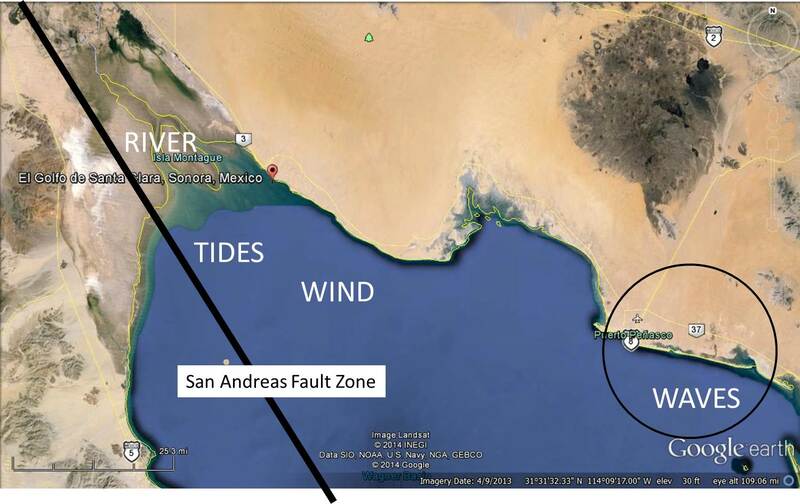 This occurs near Rocky Point (Puerto Penasco), where barrier islands and spits grow from this alongshore transport (circled area to the east). WAVES dominate the sand transport in these environments, especially with a lower tidal range. Plenty of afternoon happy hours on the beach!